Note: Information mentioned in this article is just my personal opinion, not connected with any company, employer, etc. You are not permitted to use any part of this article (text, image, etc.) without my permission. Because of the GDPR, I didn’t store any personal information (phones, emails, etc.). My goal was to perform a similar test as I did in 2017 when I tested ten Chrome plugins. At that time, it was safe to use these plugins on LinkedIn. After GDPR, a few plugins died, and some new ones were created. Below, you can find the results of each plugin. I used the Chromium Browser Brave, which is the one I use daily. However, some of these plugins did not work on Chromium Browsers, and I needed to use Chrome instead. I tested more than 25 Chrome extensions, and here I discuss the results of most of them. I don’t mention those which I believe could be a security risk for you. For example, one plugin requested access to your Google Drive when this plugin was storing data. If you gave this plugin permission, it would get access with the option to edit, add or remove data on your whole online drive. And I can’t recommend that plugin. I took a list of 1,000 random LinkedIn profiles from the internet, and I used a LinkedIn profile of my friend who is not connected with them. I split the profiles per industry, and I used a random generator to pick five profiles per job title that I was targeting. Additionally, checked every profile to be sure there were no public contact details. If I did find public contact details, I removed that profile from the test group and used the random generator to pick a new one. I only kept one profile that had a resume attached on the LinkedIn profile so I could run another test to check the other theory I had. In total, I selected fifty-five profiles from various countries. 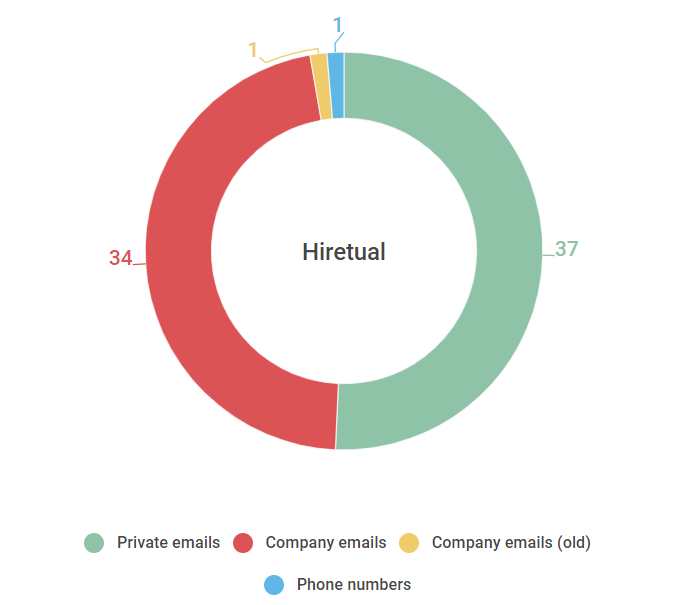 And fifty profiles that I targeted were for the following positions: Sales Manager, Accountant, Project Manager, Graphic Designer, Project Engineer, HR Manager, Program Manager, Sales Manager, Senior Developer. Five other profiles were Directors from Skype, Tesla, Amazon, Uber, Microsoft. I randomly selected these five profiles because they belonged to people who work in companies that have a strong brand and people in these roles are active online more than others. I would like to see if their contact details are more publicly accessible than those of the other 50 people. 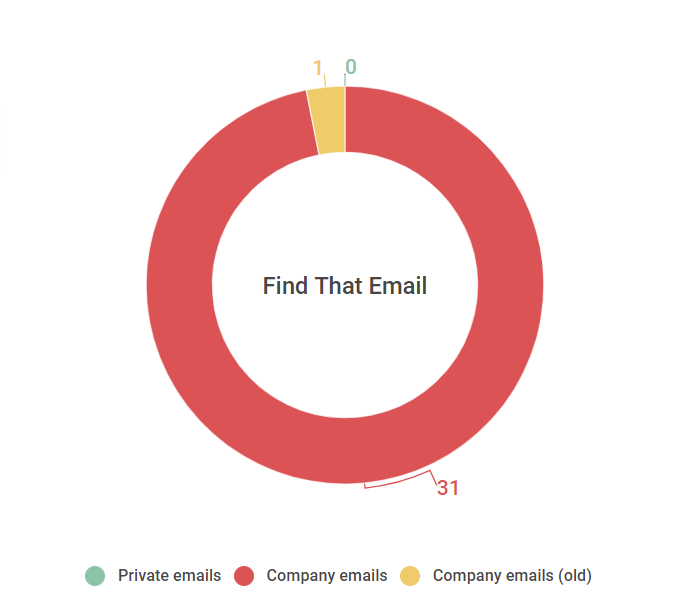 I tested every profile through these plugins to see if I could get an email address (private and company address) and phone numbers (if the plugin also showed phone numbers). 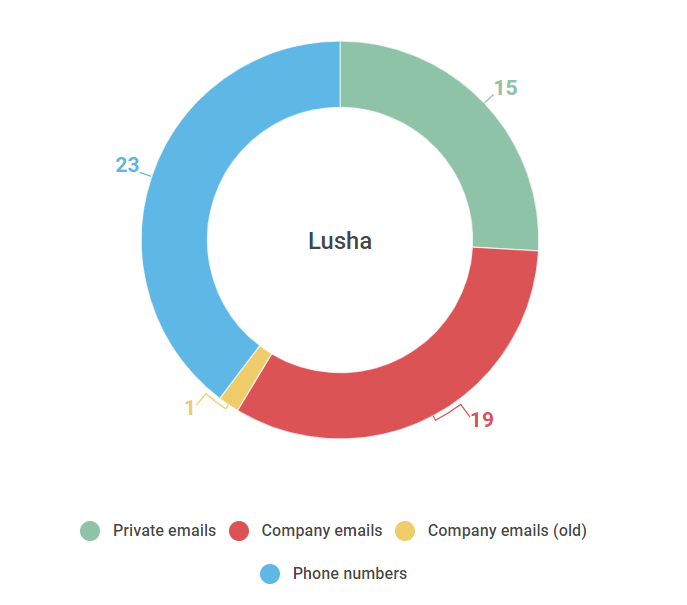 I also tested every company email address via a few e-mail validators. Any company email address that was old (because the person had moved on to work somewhere else) is marked as “Y (Old)” in the Google Spreadsheet at the end of this article, but I counted that email address as “not found.” Phone numbers that these plugins found were in many cases phone numbers of the companies. I didn’t try them; I only ran them through Google. Keep in mind that the results will be different if you target candidates working in various roles and a different location. If some plugin has lower results in my test, it DOESN’T MEAN that it’s not going to produce better results for you. And if the plugin has good results, it DOESN’T MEAN that will always perform the same in your location and for your roles. Some of these plugins can find social media profiles of candidates, and most of these plugins also work on other sites like Twitter, GitHub, etc. but you need to check the terms of these sites before you use the plugins there. Some of these plugins have free options, or for some, you have only a few credits per month. All these plugins have more functionalities and options than I discuss in the text below. 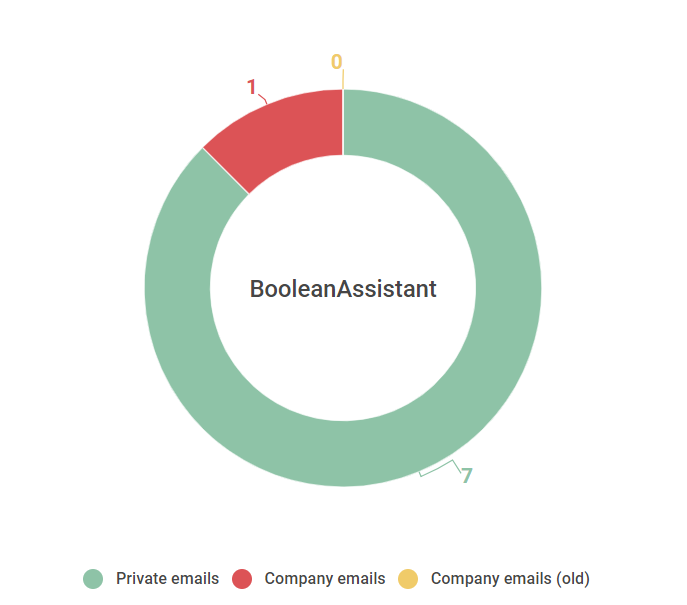 BooleanAssistant is an email hunter and boolean generator. This extension has been on the market for some time, and in my 2017 test it got quite a good result, but after two years there is no visual or technical improvement. This extension only searches for email addresses, so don’t expect any phone numbers. ContactOut is another application that I tested in 2017. In my previous test, they took second place among the tested Chrome extensions, and their performance in this test is still good. 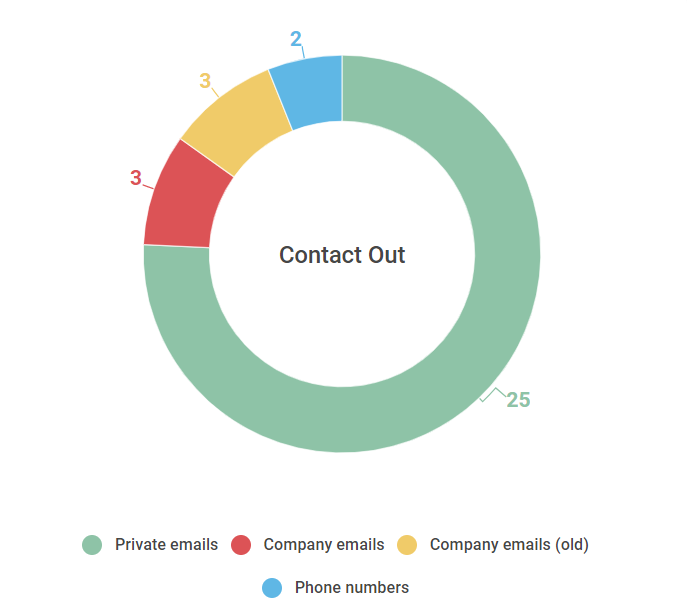 ContactOut extension delivers multiple email addresses for contacts, providing a mix of professional and personal emails, together with phone numbers and social networks. Find That Email will help to find the email addresses of professionals in millions of companies worldwide. This plugin is focused only on email addresses so you will not find any phone numbers. They offer not only a Chrome extension but also a bulk email finder and email verifier. This extension will also help you find emails from your browser on various social networks. 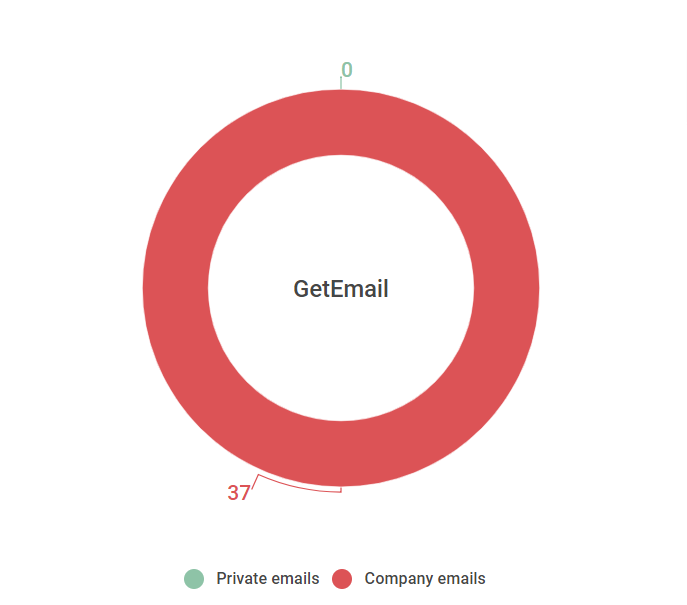 Get email was created by two French engineers, who use big data and machine learning algorithms to find email addresses. It’s effortless to use this plugin, and if the person’s email doesn’t work, their system will tell you. 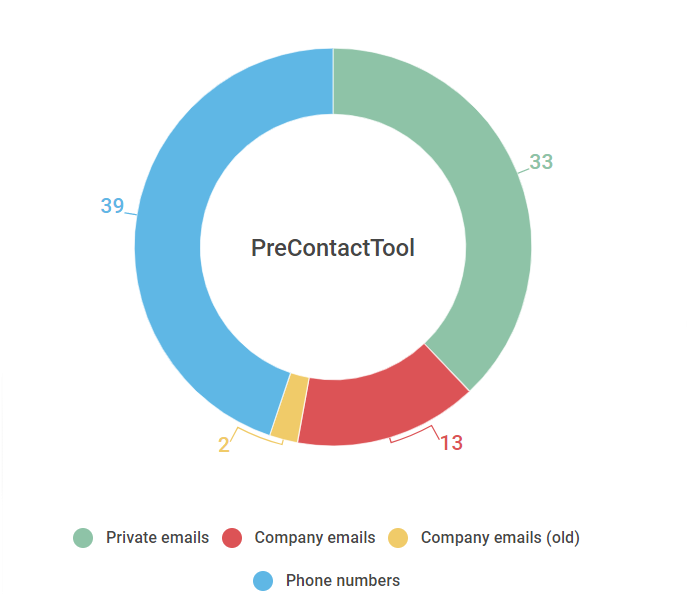 GetProspect is not only a Chrome extension that finds contact detail information online, but you can also use their simple search tool to find B2B contacts. They offer easy corporate email address finder and lead builder tools, too. HIRETUAL is not only a contact-finding plugin. It also has AI Sourcing that will help users to pipeline candidates based on their requirements. Note: The contact details of people in the EU are not visible even that they have them. You will see a message that says, “This candidate is a resident of the EU or EEA. You will need to obtain their consent to contact them.” You will click on the link, and the system informs the candidate. If the candidates are not interested in sharing their contact details with you, they don’t have to. The HIRETUAL team is serious about the GDPR. Candidates outside the EU or EEA have visible contact details. 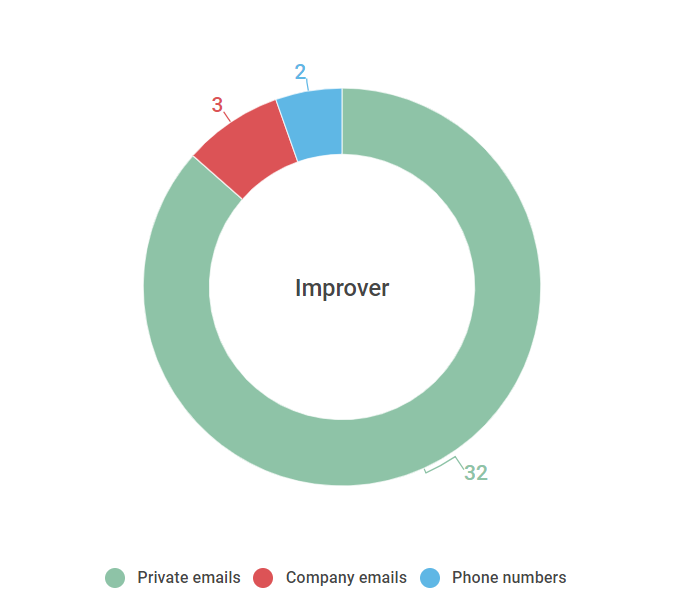 Improver helps find personal emails and phone numbers from social networks. They also have extra functionality: if this plugin does not find the email immediately, you can put the profile on a waitlist, and the plugin will continue to search for it. They also have an AI assistant that instantly matches candidates’ LinkedIn profiles to your open jobs. This is a great Google extension for getting emails and contacts. It’s effortless to post jobs and import resumes. 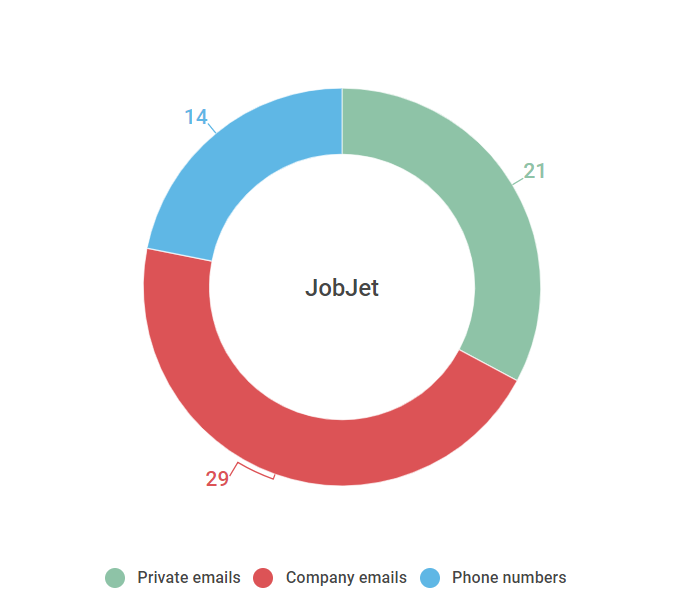 Jobjet is a technology platform that makes finding, contacting, and qualifying candidates a much more seamless experience for sourcers and recruiters than some big ATS solutions. It’s a quite handy app. Note: Due to GDPR, JobJet currently is not working with companies located in the European Union, but they are working to become GDPR compliant. 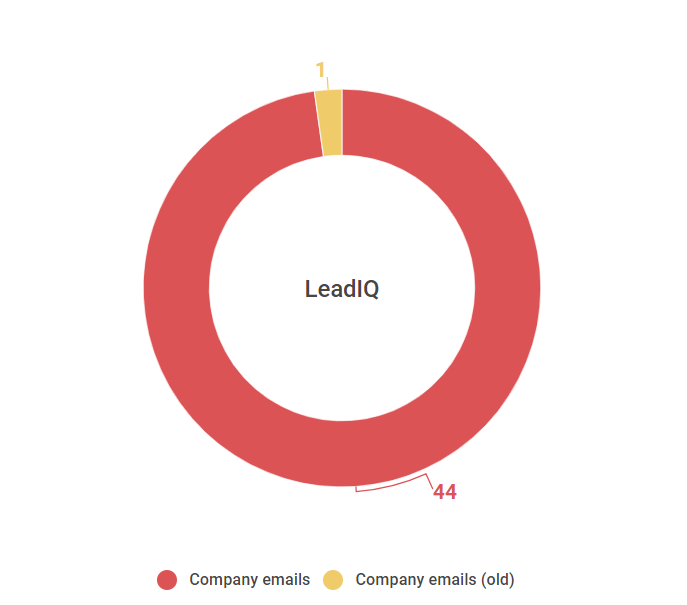 LeadIQ is B2B lead prospecting tool that will give you access to millions of verified email addresses. 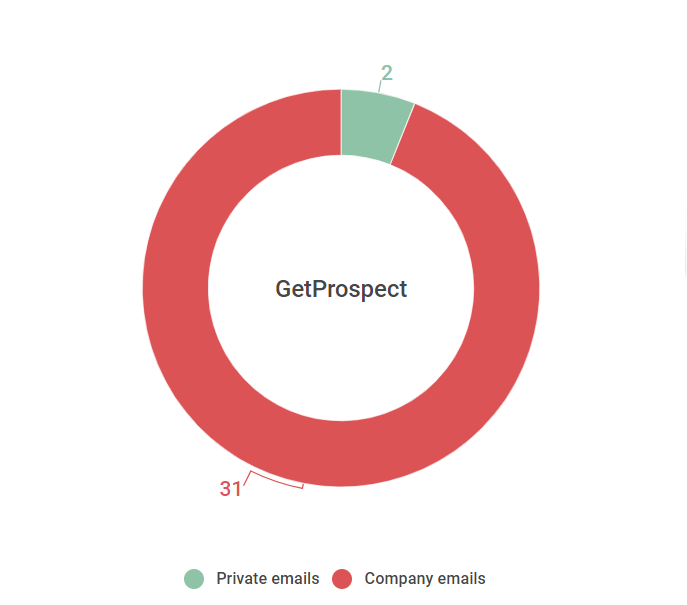 It helps to find prospects and discover emails and contact info of potential customers online. Note: This is the only extension where I wasn’t able to get private emails and phone numbers because it requires users to buy extra premium credits for that. So that’s why you will see only company emails in the picture. LeadLeaper is an email finder platform for businesses. 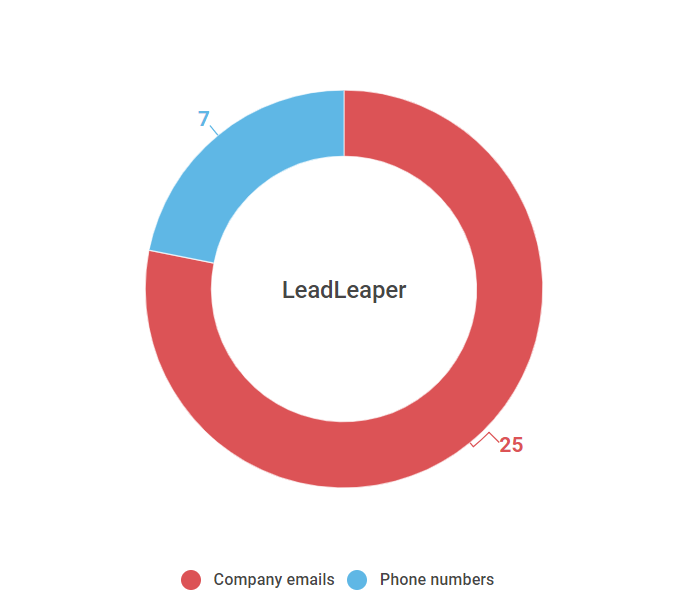 LeadLeaper’s solutions include email tracking and templates, a Lead BOT and LinkedIn integration. In the paid version they offer Lead BOT, which is a solution that will automate your lead generation. Lead BOT can automatically capture hundreds of leads with one mouse-click. LeadMine Prospector is a lead generation software for finding your target customers and their email addresses. You can target leads and their email addresses from leads’ Linkedin or Crunchbase profiles, or Google search results. Nymeria looks for all email addresses associated with a user’s social media profile (such as on GitHub or LinkedIn). 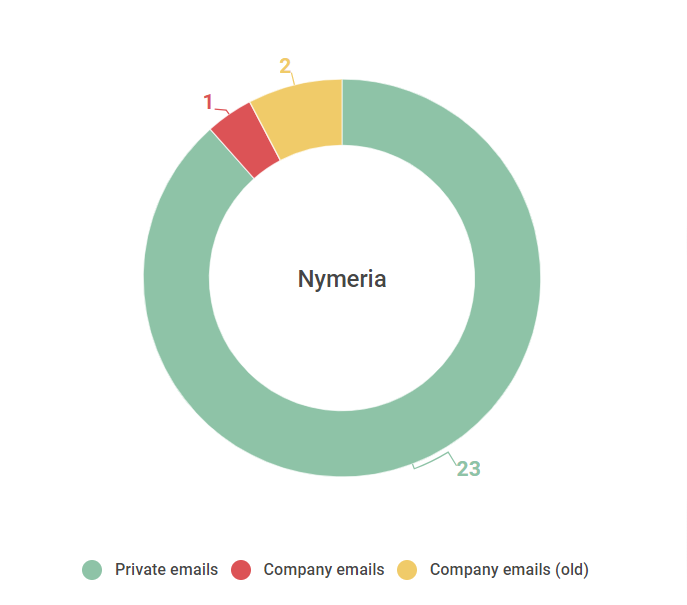 Nymeria finds business and personal email addresses associated with the user’s profile. With Nymeria you can also quickly build lead lists, and Nymeria’s pricing is incredibly fair. This extension is “the new kid on the block.” The PreContactTool is designed to find contact details from multiple sources in an automatic way. It takes information out of the profile you are viewing and uses it to search the Internet for contact information. This plugin has the highest number of company phone numbers. This tool offers API and bulk lookups; you can connect it with Salesforce, Hubspot, etc. And their OutReach tool makes emailing wildly productive. It orchestrates your entire email pipeline from personalized sends, to tracking email activity, to automating follow-ups. RocketReach offers a quite interesting, complete solution. 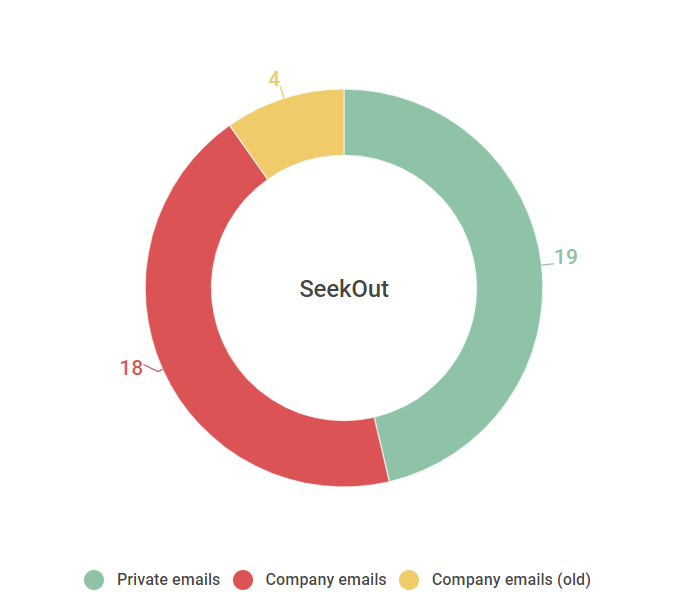 SeekOut automatically enhances candidate searches on Google. Their Sourcing Assistant will add candidate photos, education, background information, and top skills to the Google results page. They also have an AI-powered recommendation tool; this sourcing assistant automatically finds more candidates like the one that you found. You can also get verified email addresses and social links (Twitter, FB, etc.). This plugin will help you to find anyone’s email, phone number, and social profiles on LinkedIn, Facebook, Twitter, GitHub, and MeetUp. Other social networks are coming soon. What I especially like about this plugin are their CRM and ATS solutions. You can even connect your current ATS with SignalHire ATS. 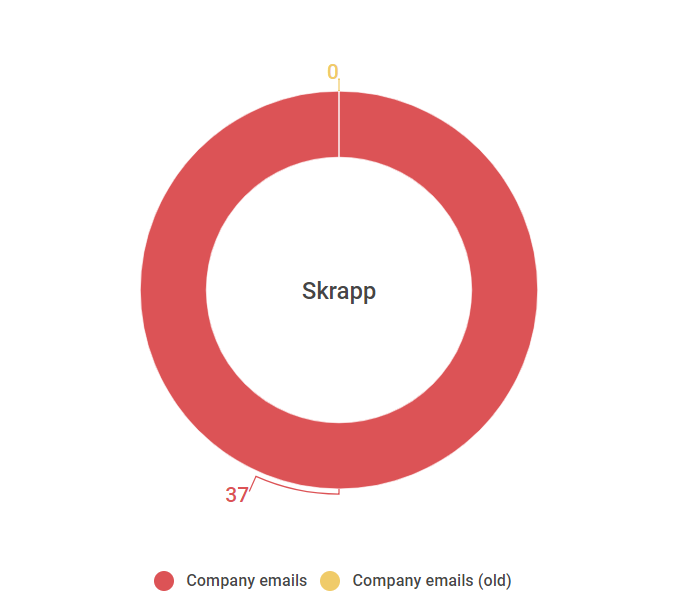 The Skrapp plugin will help you to find B2B emails. Build your most accurate leads directory. This extension allows you to gain the productivity you need in collecting data, and it will help you to build a list of leads that you can count on. Snov.io will not only help you to find email addresses from LinkedIn profiles or websites, but it will also help you to verify the email address and to create and send multiple email drip campaigns with triggers, goals, and auto follow-up messages. They also have an email tracker for Gmail, so you will receive real-time browser push notifications when people read your emails or when they click on links. This extension allows autocompleting any LinkedIn profile you visit. 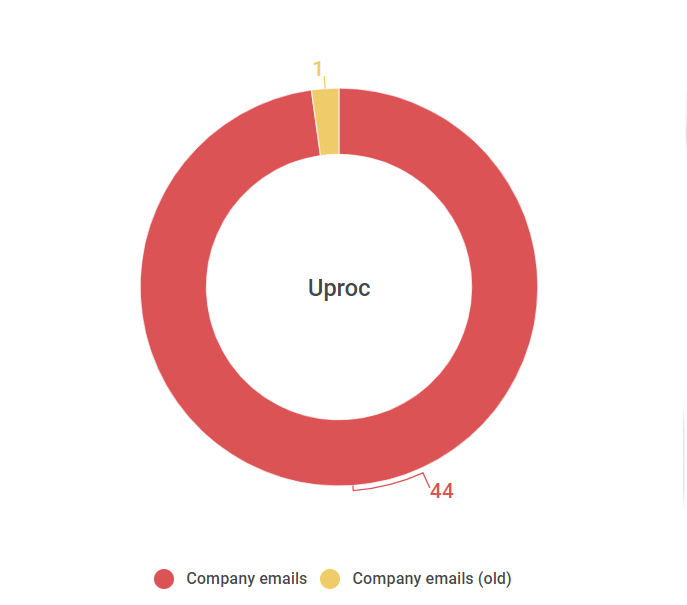 UProc’s enriches any business profile with phone numbers, emails, addresses, and websites. You can also send any visited profile everywhere using a trigger on Zapier. 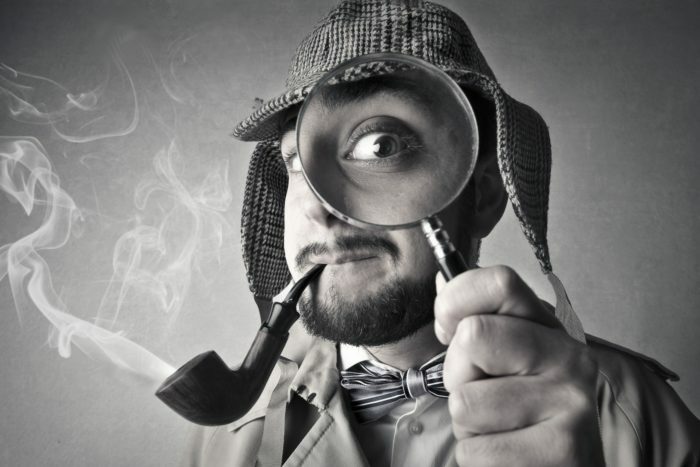 The WhoKnows plugin is in Beta version now, and it has some small hiccups, but it’s a cool machine-learning discovery platform that automatically derives expertise and relationships to generate semantic, detailed, always up-to-date profiles and connections. 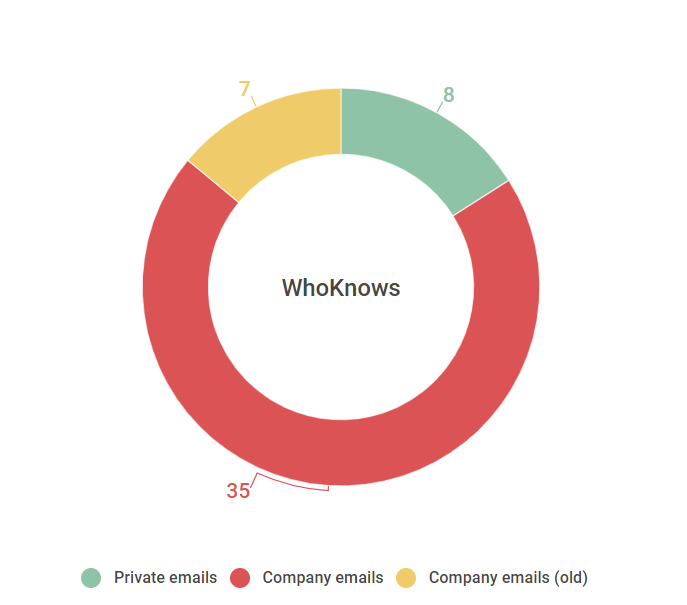 WhoKnows has their database of contact info as well as access to half a dozen industry leaders in contact info. To ensure quality, they also do real-time validation. All results are here: Google Spreadsheet. There are many other plugins on the market that I found during my test. But there are two that I would like to mention. I didn’t test them on these fifty-five LinkedIn profiles because one is not compatible with LinkedIn and the second one is more focused on technical talent. In my previous test, the plugin who won the test, the best of them all, was Prophet. This plugin disappeared after LinkedIn started fighting back against these plugins. And guess who’s back? Prophet 2 has returned! It’s still in beta version, and it doesn’t work on LinkedIn because of their new terms, but it’s working on other sites, like Twitter. The second plugin that I didn’t test on these LinkedIn profiles is the Amazing Hiring plugin. This Chrome extension mainly focuses on finding the profiles of technical specialists. That’s why I didn’t add it to this test, because you will not find salespeople with it. But their plugin activates while you browse candidates’ pages on social and professional networks and shows their profiles in GitHub, StackOverflow, Kaggle, Behance, Facebook, Twitter, and more than 40 other resources. It also displays a pre-assessment of the candidate’s technical skills. Are these plugins and solutions worthy? Imagine that you are not going to use them on LinkedIn at all and you will be accessing LinkedIn through a different browser, so you are not going to break LinkedIn’s terms. Then these plugins could help you to find hidden talents on various other websites. 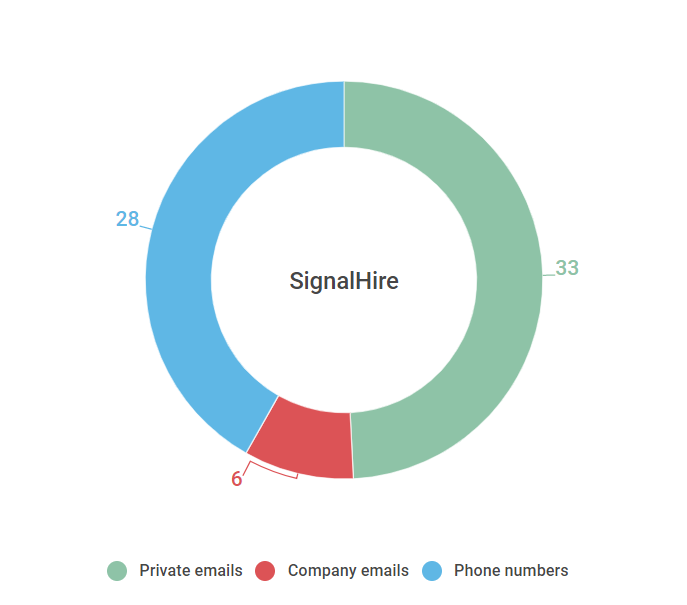 Most recruiters tend to rely on LinkedIn because it is a known environment for them, candidates are there, and they can easily contact them. If you take the global labor workforce, around 3.5 billion people are working worldwide, and only 600 million of them are on LinkedIn. (source: socialmediatoday.com). Based on the data, around of the 82% labor workforce is not present on LinkedIn yet. Of course, some countries like the US, UK, etc. have a more significant percentage of people on LinkedIn than other countries. But globally there are 82% of people who are hidden to recruiters that only use LinkedIn. I did some tests on various sites some years ago; I found that around 5% of users on these sites are fake accounts created by bots (one example is below – many of these profiles were removed already). Some 18% of the total global workforce could be on LinkedIn, but the real percentage could be even smaller because there are also fake profiles. Who is a LinkedIn competitor? I very often read that Facebook will be next LinkedIn or it’s going to be LinkedIn alternative. I am not convinced about that. More and more I think that Facebook will fail in that area. A younger generation is looking for different sites, and FB is not the place for the “old generation.” And after many problems that FB has had in the past (Cambridge Analytica, Facebook also let tons of companies get info about us, hacks, etc. ), it will need to convince companies and people that they care about privacy. Also, Facebook is considered a private space in many countries, so not every recruiter is approaching people through it. Even as a recruiter, I am not happy to get a job offer through FB Messenger from a stranger. Are these Chrome Plugins a LinkedIn Competitor? There won’t be any true LinkedIn alternative anytime soon. It will cost a lot of money to build and let’s face it; people are lazy. When you create your profile on LinkedIn, and you already have your network there, why you should go somewhere else to build something new? These plugins that I mentioned in this article have significant potential, and some of them are going to become interesting sourcers for recruiters, especially when they help you to find people who are not on LinkedIn. And those plugins that are already offering some ATS solutions already have an advantage against other plugins that don’t have any CRM/ATS solution. I was always interested in ATS solutions; there even was a time when I wanted to build one. Having a good ATS is an essential tool for every company, and many companies are still not using an ATS, or their ATS is not good at all. I still see a lot of potential on the ATS market for companies. LinkedIn sees the potential too, and that’s why they recently shared that they built their ATS solution. That was a brilliant move from LinkedIn. Imagine an ATS that is with LinkedIn, so companies using that ATS could get a notification when somebody from their candidates in the DB turns on “I am looking for a job” on LinkedIn. These things could give their customers a fantastic advantage and reduce time to fill. (I don’t know if this option is or will be in the LinkedIn ATS, it’s just an example). I don’t consider these plugins as some threat or competitor to LinkedIn. Google and their ATS (Google Hire) is a more significant threat. Not only do they have enough data about the job market, but they have the right experience that could help them create profiles of all the people who are on the internet, in the same way as some of these plugins have done. And they can do much more with all the tools and data they already have. One example of an interesting ATS plugin is Workable. They built a Chrome extension connected with their ATS, and this extension can source candidates for you even when you’re not logged onto Workable. You can highlight any name to open a window showing a candidate profile with other data. What does the future for plugins look like? If the USA and the rest of the world adopt GDPR rules as we have in the EU, this will affect some of these plugins. But if LinkedIn cuts the search options for a free account and “forces” people to pay more, the only result will be that more and more people will use these plugins and sites that offer advanced search options and more options for how to find candidates. Our data are already everywhere on the internet, and that’s a fact. Even though people think that these plugins are scraping data, I am more worried about companies like Apollo. In July 2018, the sales engagement startup Apollo left a database containing billions of data points publicly exposed without a password. I completely understand that LinkedIn is trying to protect their assets and our data. I would be doing the same in their position. But I would use a different approach than putting people into LinkedIn jail or removing public profiles, especially when companies that are scraping LinkedIn are not scraping public profiles. Sending information about an IT helpdesk role to an IT Director or Junior Recruiter to Recruiting Manager is not the right approach. Don’t forget that you are not only representing your company, but you are representing yourself, and it’s your work that people will remember. Happy sourcing and please don’t spam!